Free Keynote Template "Window" - Free Download Now! What can we offer for our clients? We have thousands of templates of modern presentations with modern designs on the site. You can buy them, download for free, and immediately start using them. By the way, this very template is absolutely free. It is possible just download it and use for your own purposes. 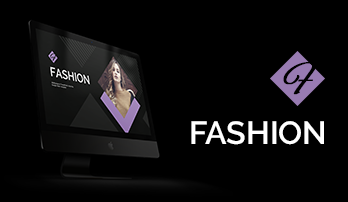 Also every month, talented designers create new professional presentation templates. 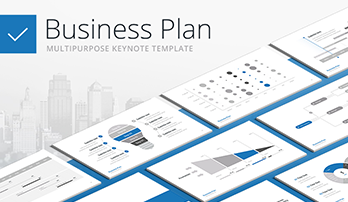 A professional presentation template is a quick way to get down to business. Use it to quickly bring your ideas to the audience. Use one of our trendy templates with stunning designs, add your information, select stylish slides and add the necessary text. Is the presentation date close? Working on all the elements of a good presentation can take a long time: you have to write a convincing text, organize the data, select the necessary graphics, create slides’ design, and bring it to readiness. You will have an audience that requires an interesting presentation, and you must make your presentation perfect. The last thing you want to worry about is to understand the Keynote intricacies. Did you choose the topic, and are the notes ready for presentation? How about a presentation design? Do slides show your ideas in the best possible way? Does your presentation look professional? Does it reflect the trends that are popular among your audience? You need a presentation template that helps to make everything much easier – like a breath of fresh air. Then you can create an attractive presentation that will fully match your brand. 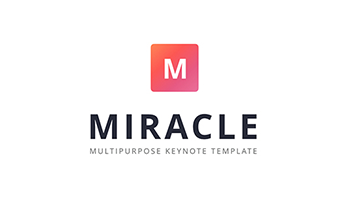 On our site, the Free Keynote Template always occupy the top positions in the list of best-selling templates. It is possible to watch the video with demo slides and animation. If you’re not convinced of the practical use and the necessity of the slides, this demo video is for you. On it, we demonstrate the template in practice. Therefore, you can assess whether this template is useful for you, its easiness and possibilities. 25 unique content slides which allows you to present information consistently and logically. They are also designed to simplify your work. Due to its premade character, all you need is to insert text, images, other information. It has specially combined content slides, modern layouts, a lot of professional infographics for business, marketing, the latest visual options, multipurpose slides. You can easily customize it for your presentation material and quickly cope with the process of presentation creation. It also includes support for the latest version of Keynote, complete documentation and quick installation for work. Use this template to make your ideas look the best, and the audience notice and appreciate them! High quality. Presentation of Keynote project is the final stage of the work done. Having spent much time researching, seeking for information, developing the topic, you’re finally ready to present your project to the audience. The use of our premade content template will provide a perfect basis for presentation and strengthen the message. So, this moment has come. Your palms are sweaty, you’re a bit nervous. In such moments, it is important to be convinced of your readiness for the speech. This template will help you to keep calm and be sure that the presentation will be successful. Using the template of poor quality, you can be surprised: the slides can lose its quality, have defects. Our templates are of high quality. It is approved. No visible defects, blurred parts, pixels. The template will not only create your image, but also be your support and assistant. Printable slides. Besides its wide range of slides, excellent quality, the slides are also fully printable. The handouts are widely used at meetings and conferences. Thus, it is an advantage. Moreover, this template has an additional vertical (book) A4 format. A landscape format is simpler to make, but we offer you the book format that perfectly suits any folder and can be easily placed in it. Therefore, you get a perfect printed copy of your project. Free download. Great news: this template is available absolutely free! What can be better than a content premade template of excellent quality for free. You can freely get the assistant for work without paying. Just download the template and work with pleasure! Editable vector elements. This option allows you to edit shape, size, and other built-in tools. Modern design. This template has a modern minimalistic design. It is quite popular nowadays. Such design can be appropriate at any business conference or marketing meeting. Therefore, the template can be used for any project. This design won’t distract from the main topic, but present information advantageously. A multipurpose template. If you’re looking for a template that will not only be a good working tool, but also a personal assistant that will be able to support the idea at the meeting, create a positive impression, attract the listener, it is this template that you need. The slides are suitable for various type of projects starting from marketing reports and analyzes to business proposals and startups. Premade easy-to-use slides. Continuing to list the features of the template, its premade slides should be mentioned. They allow you to work with the template quickly and without difficulties: insert necessary information and that’s it. Due to this option, it is possible to save time and simplify responsibilities.